1936 | What happened in…. 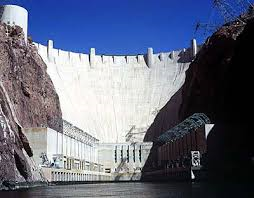 Hoover Dam, once known as Boulder Dam, is a concrete arch-gravity dam in the Black Canyon of the Colorado River, on the border between the US states of Arizona and Nevada. It was constructed between 1931 and 1936 during the Great Depression and was dedicated on September 30, 1935, by President Franklin D. Roosevelt. Its construction was the result of a massive effort involving thousands of workers, and cost over one hundred lives. The dam was controversially named after President Herbert Hoover.